News: GSK-HUL deal: Staff integration or separation? After the announcement of the $3.8 billion Unilever-GlaxoSmithKline deal, GSK Chief Strategy Officer said that there is no clause in the deal that HUL has to retain all GSKCH employees. After the announcement of the merger between Unilever-GlaxoSmithKline, it is reported that both the organizations are forming teams to decide on the “integration or separation” of GSK Consumer Healthcare’s 3,800 employees. In this mega-merger deal of $3.8 billion, Hindustan Unilever has signed a contract to distribute GSK Consumer’s over-the-counter and oral health products. With this deal, HUL is planning to make a strategic move into the health and wellness space. While this merger looks positive for both the brands, the fate of the GSK’s 3,800 seems turbulent as David Redfern, Chief Strategy Officer of GSK shared that there is no clause in the deal that HUL has to retain all GSKCH employees. The pharmaceutical company is working on a plan to evaluate the performances of its 3,800 employees to decide who could move to Hindustan Unilever and who could potentially be given severance packages. Pankaj Raj, Co-Founder and Director at Search Value shares, "Given that a lot of the top leaders in GSK India are from the HUL lineage, the workplace culture fit may therefore not be a very big issue. Both organizations have enough and more experience in handling and grooming high-quality talent. The top leadership at HUL and GSK has some exceptional leaders and I can see a problem, of plenty for the merged organization. As and when the integration begins, it is highly likely that there could be layoffs since there will be a lot of duplicity of roles. The integration, though is still at least twelve months away in my judgment." 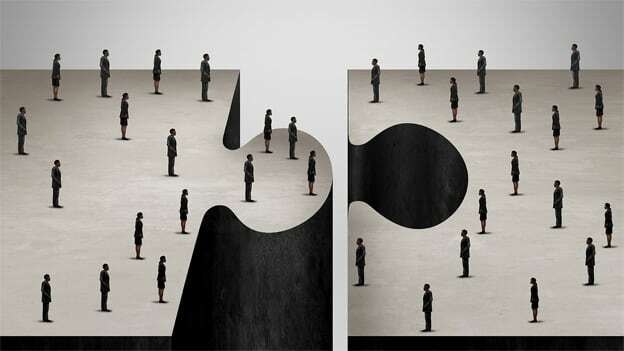 As earlier reported in media, Shekhar Purohit, MD, First Mumbai Consulting reiterates the same and says, "A merger is often followed by talent rationalizing. Given that HUL is well known for its distribution across India and its leading practices across functional areas such as finance, and HR, I anticipate talent rationalization in sales, HR, and finance. As this is not a merger of equals (HUL is purchasing GSK), we can anticipate most of the rationalizing happening in GSK." On the issue of staff integration, HUL chairman Sanjiv Mehta shared that the second-year focus would be integration. “For the first one year, after the approvals, we are going to retain the same terms and conditions for the employees. We are a growing business, in need of talent. We will have a choice of looking at a larger pool of talent on both sides. Thereafter, we will have to talk through where is the rest of the business and where do you take it forward,” Mehta said.